Britain has voted to leave the European Union in a historic referendum result that is likely to end the career of prime minister David Cameron and exposes deep divisions in the country. The victory for the Leave campaign, in the face of opinion polls which had suggested a narrow win for Remain, overturns 40 years of British membership of the European project and sent the currency markets into immediate panic, with the pound plummeting to its lowest level since 1985. While Scotland and London voted for Remain, anti-EU voters turned out in larger numbers across large swathes of England and Wales to reject the pleas of Cameron and the other main party leaders to stick with the EU. The only party leader to back Brexit was UKIP's Nigel Farage. The result is an enormous personal defeat for Cameron, who called the referendum to head off Eurosceptics in his own party and counter the rise of UKIP. After claiming to have won a series of reforms from the EU, he gambled his premiership on winning the vote for Remain. But by 4am on Thursday it had become clear that the gamble had backfired, as first ITV News, then the BBC and Sky News, declared that Leave had won by a projected 52% of the vote to Remain's 48%. The official Vote Leave campaign was led by Conservative MP and former London mayor Boris Johnson, who will now be frontrunner to succeed Cameron, while Farage ran his own unofficial campaign. The anti-EU campaigners focussed heavily on the issue of cutting levels of immigration and attacked the perceived elitism of the Remain campaign. In the process they celebrated an unexpected victory. The veteran anti-EU politician appeared close to tears as he predicted the vote would prompt the downfall of the entire EU as other countries also choose to quit: "I hope this victory brings down this failed project and leads us to a Europe of sovereign nation states trading together, being friends together, co-operating together. And let's get rid of the flag, the anthem, Brussels, and all that's gone wrong." 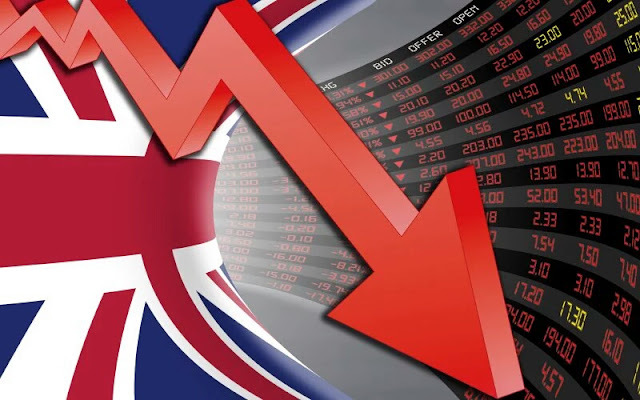 The decision to vote for Leave caused the value of the pound to crash against the dollar as currency markets hammered the UK for choosing to back Brexit, with stock markets expected to be hit hard when they open. Leave surpassed expectations in almost every area of the UK and secured a substantial margins of victory in most parts of the UK, including in traditional Labour heartlands in Wales and the north of England. The Remain campaign had to console itself with strong victories in some major cities such as London and Liverpool, while also seeing a strong performance in most of Scotland. Labour sources are now calling on the prime minister to consider resigning, while Jeremy Corbyn's party faces its own inquest after many of its traditional voters ignore the pro-EU message and chose to vote for Brexit. Pro-Brexit Conservative MP Jacob Rees-Mogg suggested their could now be a new general election well before the expected 2020 date. SNP politicians also said the vote to leave the EU would reopen the issue of Scottish independence, since they would not allow Scotland to be taken out of the EU against its will. In a statement after the result had been called by the three main broadcasters, Scotland’s First Minister Nicola Sturgeon said: “Scotland has delivered a strong, unequivocal vote to remain in the EU, and I welcome that endorsement of our European status. “And while the overall result remains to be declared, the vote here makes clear that the people of Scotland see their future as part of the European Union. The result follows a vicious referendum campaign which saw the UK government, the leaders of Britain's main political parties, world leaders such as President Obama, the majority of British businesses, and the vast majority of expert opinion to join behind the Remain campaign. Leave gained ground in the final fortnight but campaigning was halted following the shooting of Labour MP Jo Cox. When campaigning resumed, it was with a more muted tone and polls suggested some voters had returned to Remain. As a result, the pro-EU side started the night very confident of a narrow victory, with UKIP leader Nigel Farage all-but accepting defeat as polls closed and pollsters YouGov projected a 52% win for Remain. Throughout the night, Leave continued to outperform expectations, consistently racking up more votes than forecast even in areas won by Remain.